Home » MFi Games List for iOS Devices » Fish! iOS Compatibility: Requires iOS 8.1 or later. From the Developer of Fish! 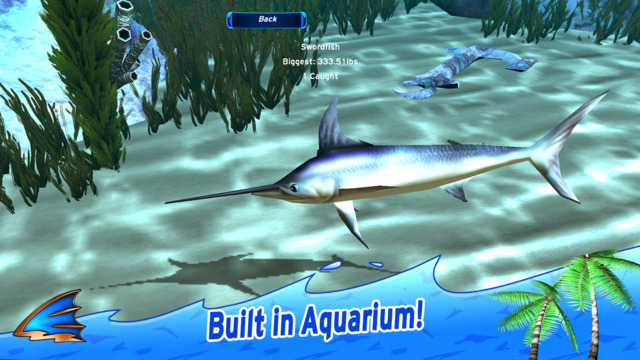 • 8 gorgeous living 3D locations for 30 different kinds of sea animals and unlock them to show off in your virtual aquarium! • Take it easy, kick back and just do fishing in each spot or see if you can win trophies in competition modes. Or take on a quest that will carry you around the island in search of rare fish and treasure! • What about fishing with your friends? Join in a multiplayer game of Fish! playing on your Apple TV, iPhone or iPad over your local network. • As with all Strange Flavour’s Apple TV games, the game is Universal Purchase, so buying either the Apple TV or iOS version lets you download both. *Network play with Apple TV 1.1 coming soon!